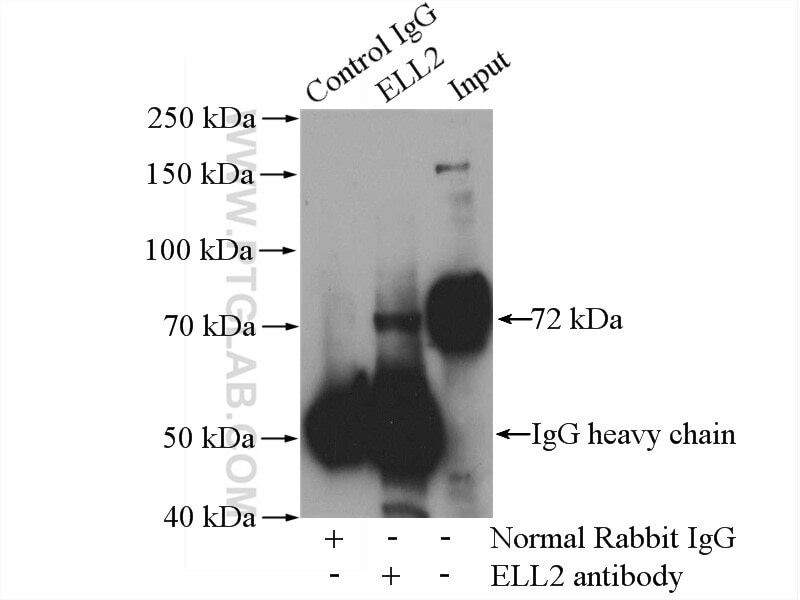 IP Result of anti-ELL2 (IP:12727-1-AP, 4ug; Detection:12727-1-AP 1:300) with mouse brain tissue lysate 3440ug. MicroRNA Directly Enhances Mitochondrial Translation during Muscle Differentiation. 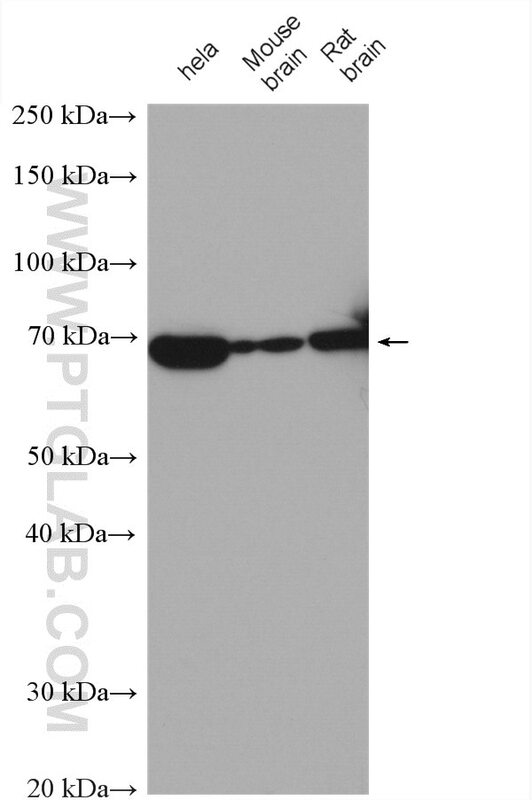 Cytoplasmic poly(A)-binding protein 1 (PABPC1) interacts with the RNA-binding protein hnRNPLL and thereby regulates immunoglobulin secretion in plasma cells.